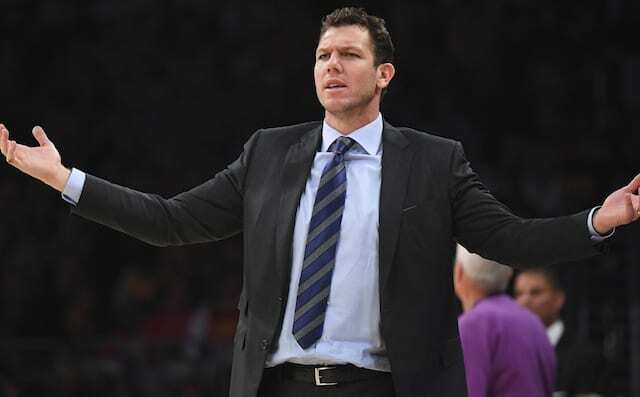 The Los Angeles Lakers historically have dealt with numbers distractions during any course of the season and the first for the 2018-19 team arose Friday morning with a report president of basketball operations Magic Johnson ‘admonished’ head coach Luke Walton after an 0-2 road trip. USE CODE “FREESHIP11” FOR FREE SHIPPING ON ALL MERCHANDISE! The Lakers opened the season 0-3 and after consecutive wins, suffered back-to-back losses to the San Antonio Spurs and Minnesota Timberwolves. Mixed results have been accompanied by subpar defense and several lineup and rotation changes. While the reported meeting is garnering national headlines, it’s hardly out of the ordinary. “I have not read the article. Obviously, I’ve heard about it,” Walton said after practice. 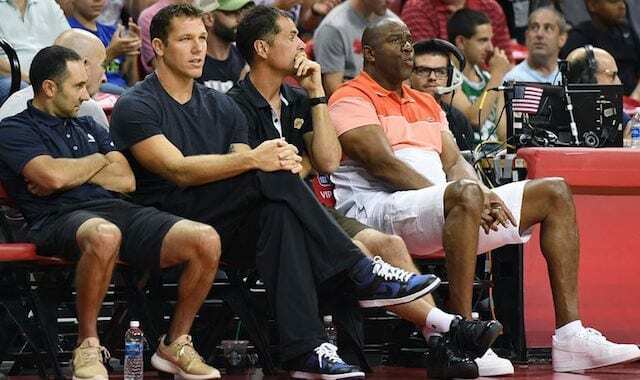 Lakers owner Jeanie Buss has long been a staunch supporter of Walton, who was hired by the previous front office headed by Jim Buss and Mitch Kupchack. While not hand-picked by Johnson or current Lakers general manager Rob Pelinka, the sentiment is they too supported Walton. That may still very well hold true, even if Johnson critically and emphatically raised a sense of urgency. At minimum, Walton is not concerned about job security a mere eight games into his third season at the helm.